Heroes, Heroines, and History: Nazi POWs in the U.S. and a giveaway! Nazi POWs in the U.S. and a giveaway! Did you know that during World War II, the United States housed over 425,000 Nazi prisoners? That fact was a surprise to me too, and I might not have known about it had I not come across the mention of a United States German POW camp in a recent novel I read. One reason I like to read historical novels is that I always learn something, so like any good researcher, I had to check out the history behind the story. What I discovered was that soon after the US entered World War II, the United Kingdom approached the US about housing prisoners. The UK had a shortage of space for war captives and appealed to our country because we had much more space. Soon the prisoners began arriving at the rate of 30,000 per month. Because the US observed rules of the 1929 Geneva Convention, these prisoners were treated very well, much better than their American counterparts were in Nazi-controlled camps. Forty-six states housed the 700 prisons which, aside from guard towers and barbed wire, resembled military training camps. According to the Convention, prisoners lived in quarters comparable to that of American soldiers. The three admirals and forty generals who were prisoners were sent to a camp in Mississippi where each had his own cottage and garden. 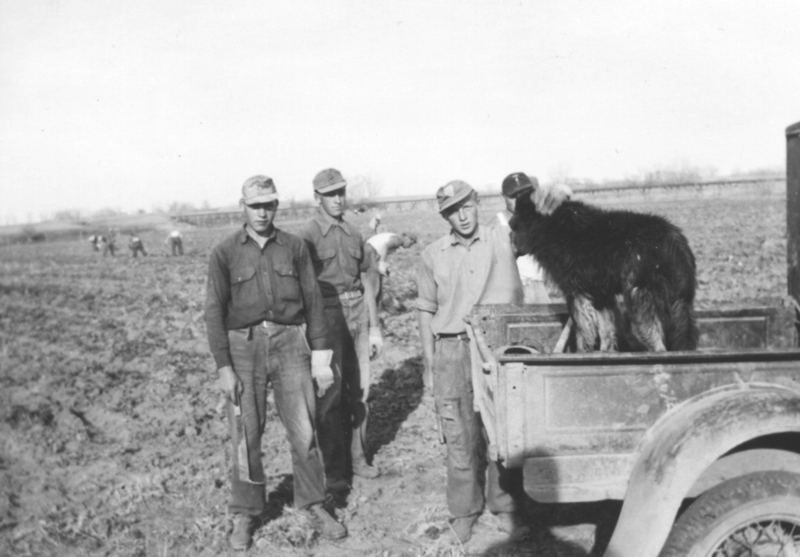 Because so many American men were in the military fighting overseas, the German prisoners helped fill the employee void in the US by working in mills, factories and farms. They were paid for their labor in scrip they could use in the camp canteen, therefore helping to pay their own costs of imprisonment. Newspaper coverage and public knowledge of the camps was avoided until after the war, also complying with the rules of the Convention and to keep US citizens from fearing the large presence of the enemy. Citizens who lived near the camps were most aware of them, and also often the ones who benefited the most. Ironically, the government received letters from civilians complaining that the prisoners were treated too well. 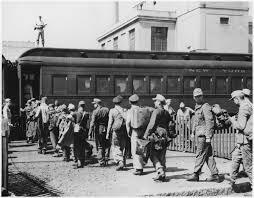 But in addition to abiding by the rules of the Convention, the government hoped that by treating the German prisoners well, the treatment would be reciprocated for American POWs. Life for these Germans was firm, but fair, and with a shortage of American guards, the prisoners were mostly supervised by German officers who maintained discipline, marched them to and from meals and prepared them for work. 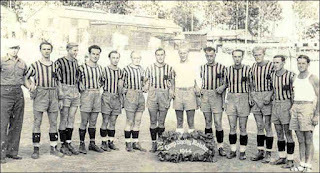 Sometimes the prisoners were allowed outside the camps without guards on the honor system. Many of the prisoners even found the living conditions in the camps to be better than they had as civilians back in Germany. The camps provided them with writing utensils, art supplies, woodworking utensils and musical instruments, encouraging hobbies as well as sports. One former POW wrote, “We all were positively impressed by the USA…We all had been won over to friendly relations.” Several camps held social receptions with local girls and some of the Germans even met their future wives while prisoners. Did you know about the German POW camps in the United States? 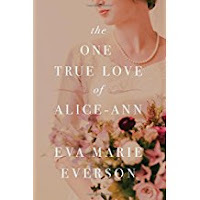 The book that inspired this research was The One True Love of Alice Ann by Eva Marie Everson. Leave a comment (and your email) for a chance to win a copy! Wow! 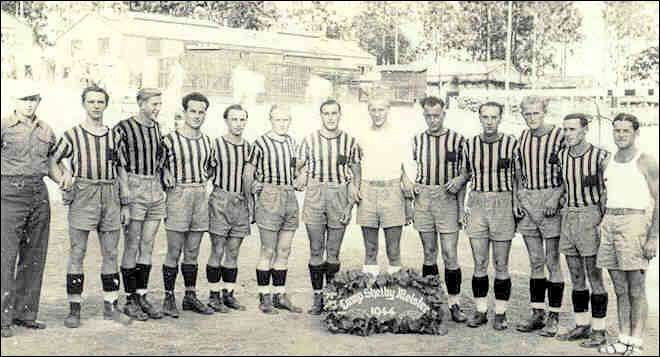 I never knew about the German POWs being imprisoned on US soil during WWII. That's a fact I'll discuss with my husband today as he is a big WWII buff. I too love to read historicals as I always come away with learning something new. I would love to win a copy of The One True Love of Alice Ann. Thank you for the chance to win and for sharing this post. Thanks for you comment, Cindy! I'd like to know if your husband knew about the camps. It's amazing how many people didn't know about them! This was so interesting! 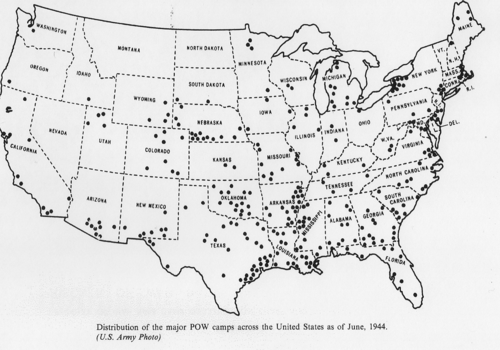 I didn't know about POWs in the U.S. until a few years ago. That's when I saw the movie The Magic of Ordinary Days, which had a subplot about a German POW camp in Colorado (where I live!). I've always wondered about those POWs and what happened to them. I had no idea until I read your post just how many POWs there were. I'm looking forward to reading your book! I already have a copy of The One True Love of Alice Ann, which I intend to get off my TBR pile and read now that I have read this post. 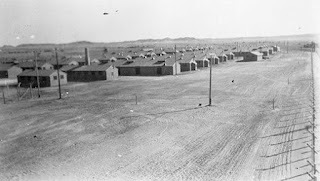 I have known about the POW camps that hald German prisoners for many years because a friend of mine, who lived in Germany until her teens, told me her father was a prisoner in a POW camp in Maine during the war. During his internment he did woodworking, and she still has a beautiful wooden box he made while he was there. 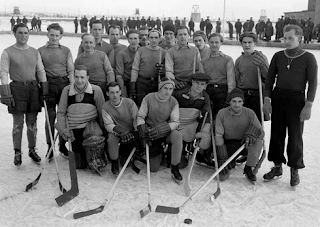 After the war, he decided to move his family to Canada, and they settled in Winnipeg for a short time before moving to Chicago. They later became US citizens. I was very surprised to hear her story, but didn't realize until I saw the map in this post how many camps there were. Author Cara Putman wrote a novel that involves a German POW assigned to a POW camp in Nebraska. It's one of the books in her Cornhusker Dreams series that you can get online at her website or Amazon. Reading that book expanded my knowledge of these camps. I also love learning things through the novels I read or the novels I write. Researching always seems to turn up new bits of information that become fodder for a storyline. HI Pamela, Thanks for your comment. I didn't know about Cara's book. Will have to read it! Wow! Amazing and new history to me. I did not know about German POW camps in the US. I enjoy reading historical novels. The One True Love of Alice Ann sounds like a great one to read. Thank you for the giveaway. Hi Marilyn, You never know what you'll find out when researching for a book, much less reading someone else's! I found this to be so interned and I admire that they were treated so well in the hopes that the same mercu would be granted to our soldiers who were POWs. Drat that autocorrect! Interesting not interned. Haha, Connie, I know what you mean about autocorrect. Sometimes it's just not correct! Thank you for your comment. I'm glad you found the article interesting. I had not heard about the German POWs here in the US. Thank you for sharing this information. It was very interesting. Hi Susan, Isn't it amazing that so many Americans didn't know about this? Glad you found it interesting and thanks for the comment. Hi CC. thanks for your comment. You're one of the few who knew about the prisoners. I knew there were Japanese-Americans impriosioned on the west coast, but many of theses were our own civilians. The Nazi POW camps were news to me. Thank you for sharing your interesting post. I had no idea of the German POW's. Sounds like they were treated with respect and well taken care of. Melanie, thank you for your comment. I'm glad you found the information as interesting as I did. I love history and this post was full of interesting history. Thanks for the info and the giveaway. Good luck everyone. Thanks for you somment. Glad you found the post interesting. Good luck on the giveaway. That's amazing! I love learning about history by reading historical fiction. It does the job of capturing my interest. Then I can look into things further from there. I would love to win the copy of the book with this info in it. Thanks for the chance. Hi Debbie. Glad you enjoyed the post. Thanks for your comment! I remember hearing something about this at one time on 20/20 or 60 minutes or some other TV show like that. 700 prisons is a lot! Another one of those little known facts of American history. Truly, Patty. And it wasn't "that" far back. Thanks for your comment. It is a good one, Ann! You learn a lot from historical novels! I did not know until I visted Fort Robinson in Nebraska years ago. Isn't it amazing? A dear friend's father became good friends with one of the German PWs who worked his farm here in Nebraska, and even helped him return to the US after the war was over. An orchard not far from where I live was also worked by German PWs and one who returned ended up owning the orchard late in life and building quite a legacy here. I wrote Footprints on the Horizon after learning about this little-known part of WWII history. Thanks for your comment Stephanie. How interesting!I'll have to get your book too! WOW! Learned things I did not know. This book must be full of great info. Hi Shirley. The book is a novel, but the info about POW's in the community was new to me and made me do more research. Isn't it amazing, Paula? Thanks for your comment! Our grandmother told my brother about working alongside the POWs in the fields during the war years. "They were so nice," she told him. They also worked on my grandmother's cousin's farm and, when they returned to Europe, wrote to his wife telling her they missed her good cooking and that they were treated better in America than they were once they got back home. I wonder if that's why many of them returned to become citizens later on. It's an amazing time in our history. Thanks for your comment, Eva, and for your wonderful book! Marilyn, not sure you'll see the comment on FB so I'll repeat. There was a camp in Andalusia, AL, my hometown. Sue Bass Wilson wrote an excellent article about it in the Andalusia Star News a couple of weeks ago. That was the first I had heard of the camps. It was a big surprise to me. Sue's article spoke of the friendship between a local farmer and one of the prisoners who worked in his farm. They exchanged letters for a few years. When I read The One True Love of Alice-Ann, I learned even. Ore about this. Hi Debra, I didn't realize there was a camp in Andalusia. What a great story. Thanks for sharing. I did not know this. Very interesting. Thanks for the informative post. Glad you found the post interesting, Connie! Thanks for your comment. this is a very interesting post. I did not know about some of this. thank you for researching and sharing. Hi Lori, Thanks for your comment! This is the kind of history I like to learn. It is heartening to know that the U.S. played by the rules and treated the POW's humanely. It is also inspiring to know that love really does conquer all. Some POW's and American woman were able to look at each other and see--not the enemy, but wonderful human beings whom they could marry. Most of the time all we learn about war is the negative aspects--disagreement, death and destruction. That's what I found when I recently read Winged Victory, a history of the Army Air Forces in WWII. Let's not glorify the blood and guts, let's celebrate the POW camp story as a silver lining in the dark and deadly cloud of WWII. Would greatly enjoy reading Eva Marie's book. My e-mail address is pstyre@aol.com. Hi Alice, I really appreciate your comment. It does put a positive perspective on the black cloud of war. I didn't know about this. I hope that the prisoners who came here heard the gospel while they were here, in addition to being fed well. My e-mail is adventurewriter@hotmail.com. Thank you. Hi Katy, thanks for your comment. It would be interesting to find out if they had chapel services or chaplains or if they were allowed to go to a local church. Wow! I never knew anything about this. 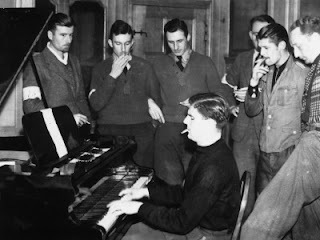 It is very interesting, especially the part that some of these POW's found their future wives while living in a camp. I wonder if they then stayed in the USA? Hi Betti, Thanks for the comment. Some returned to the US afterwards and married their American wives. I remember going with my dad to pick up a load of German prisoners to work on the farm. My brother, about two years old, sat on the lap of one of them. He told us he had a little boy about my brother’s age. He didn’t know if he was still alive. My brother had big blue eyes and a head of blond curls. Thanks for jogging my memory. Hadn’t thought of that in years. What a bittersweet memory, Marjorie! I hope his little boy was still alive, don't you? Wow, Josie! Can you believe there was one so close to you?